The wait…is finally over. 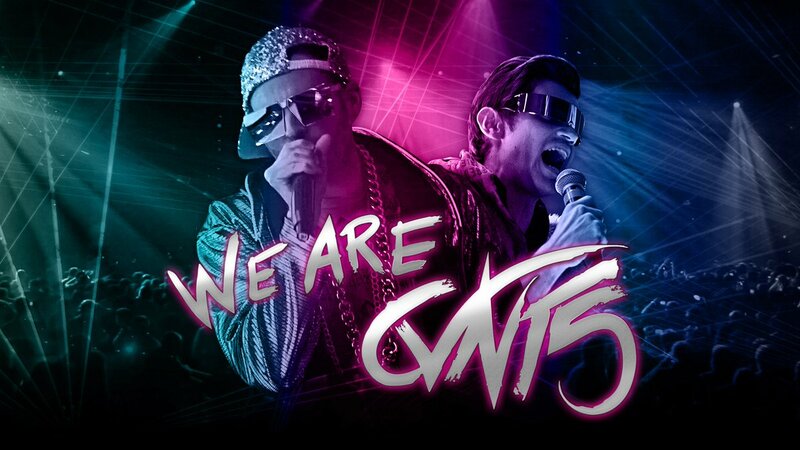 Gareth Emery‘s brain child “We Are CVNT5” is now available for streaming in it’s entirety on go90. Gareth has been building up the show’s release for over a year, and is quite proud to share it with his fans. The show centers around the group CVNT5, a concept born from the quirky minds of Emery and counterpart Ashley Wallbridge. In the show, it focuses a documentary following Brandon Bass (played by Emery himself) and Chad Chisel (played by Paul Holowaty). The fictitious documentary follows the trials and tribulations of their DJ group CVNT5. Emery has not yet commented on why Wallbridge chose not to be part of the show. At first glance, there appears to be many relatable and comical satire related to celebrity life and the glamour of a traveling DJ. In one of the first scenes, Emery’s character is approached by a fan for a selfie – while taking a piss. The fan snaps the selfie while the famous person continues to pee – surely this must be from personal experience. Fans are already showing high praise, not just for the comedic value, but also for the show’s darker, deeper undertones. Gareth put his heart and soul into this project, and it appears the fruits of his labor shine through. Show your support and follow the link to binge watch the eight episode pilot series. Viewer beware: a note pops up on go90 saying that the “website will no longer be available as of July 30th.” Make sure you watch the whole series right now!